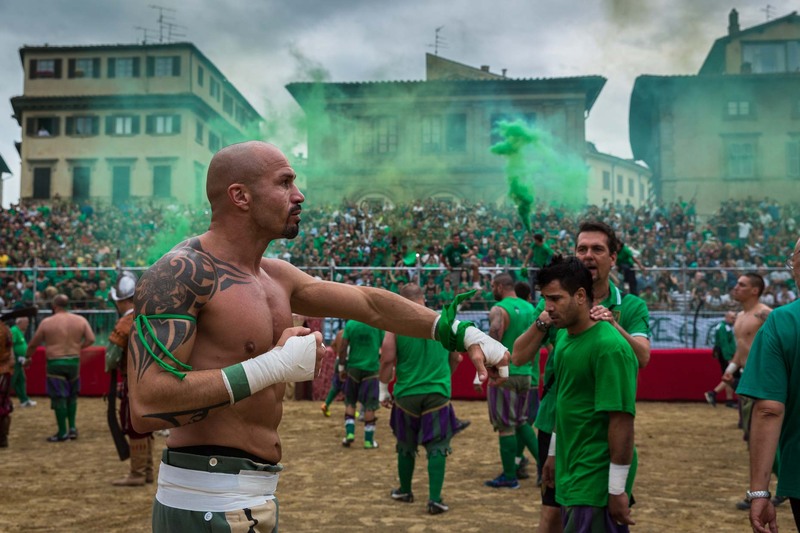 Calcio fiorentino, also known as Gladiator Football, is an early form of the game that originated in 16th-century Italy. Once widely played, the sport is thought to have started in Piazza Santa Croce in Florence. Seen here the Verdi team prepare to do battle in the square, Italy.